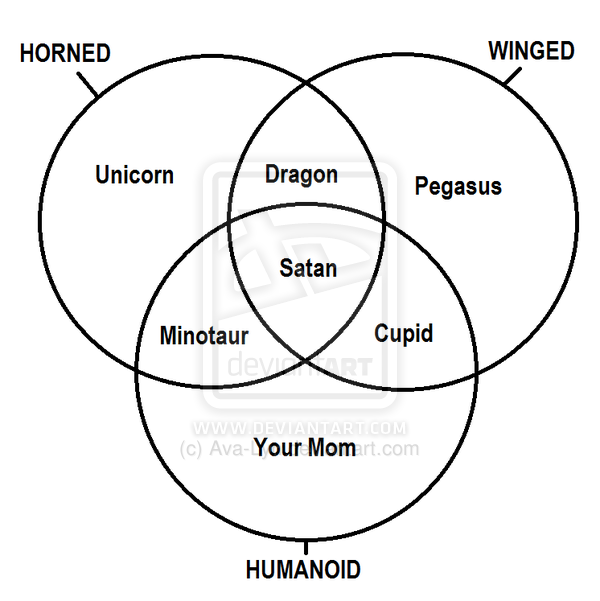 I made a Venn diagram that compares unicorns, Satan, and Your Mom. Because it had to be done. 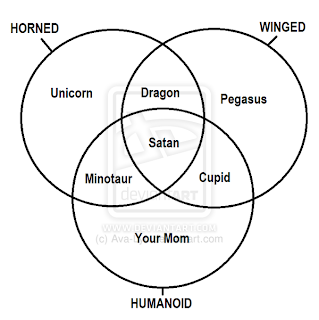 And hey, if you want it on a T-shirt, I can oblige.